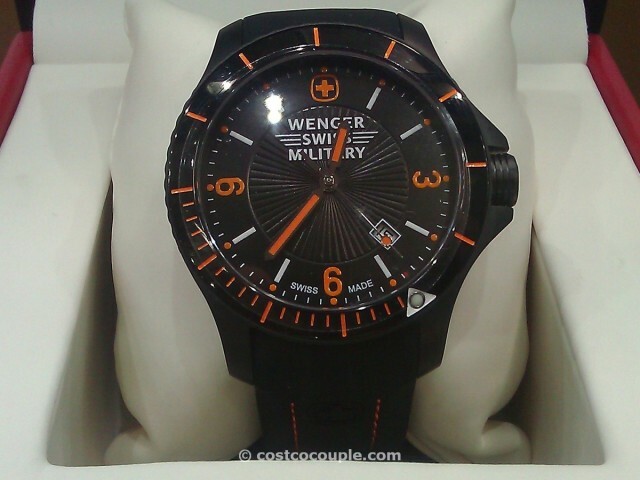 This Wenger Swiss Military Watch with Sapphire Crystal Watch is mostly black with orange and white accents. The model name is “Battalion Sport”. 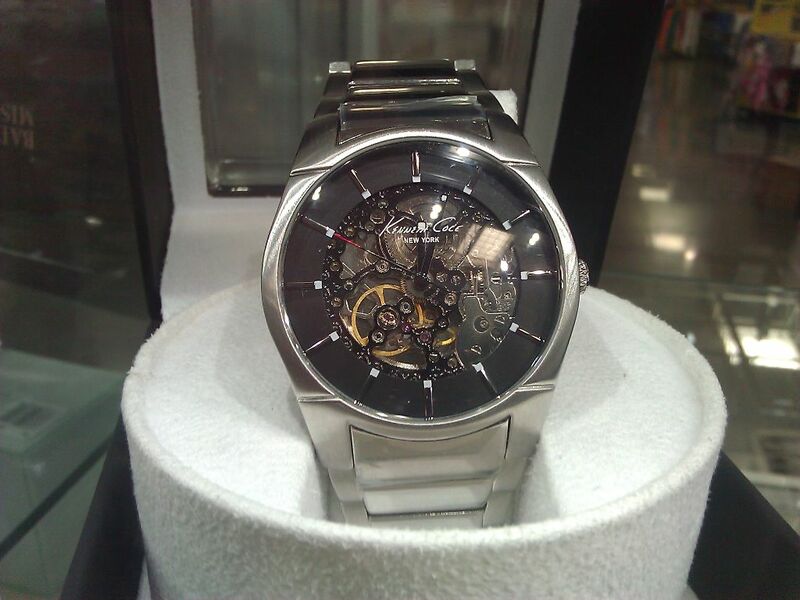 The case is steel with a black coating, while the band is black silicone. It has a date window, rotating bezel timer, and luminous hands. 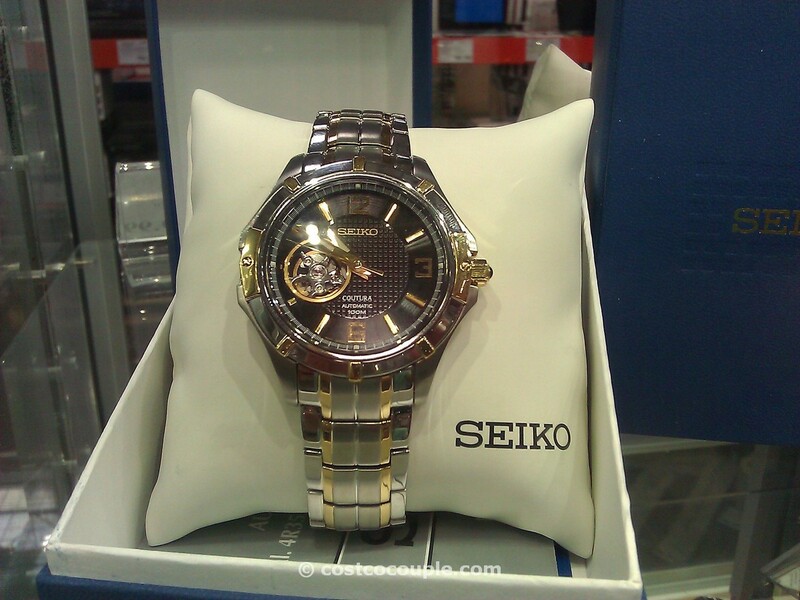 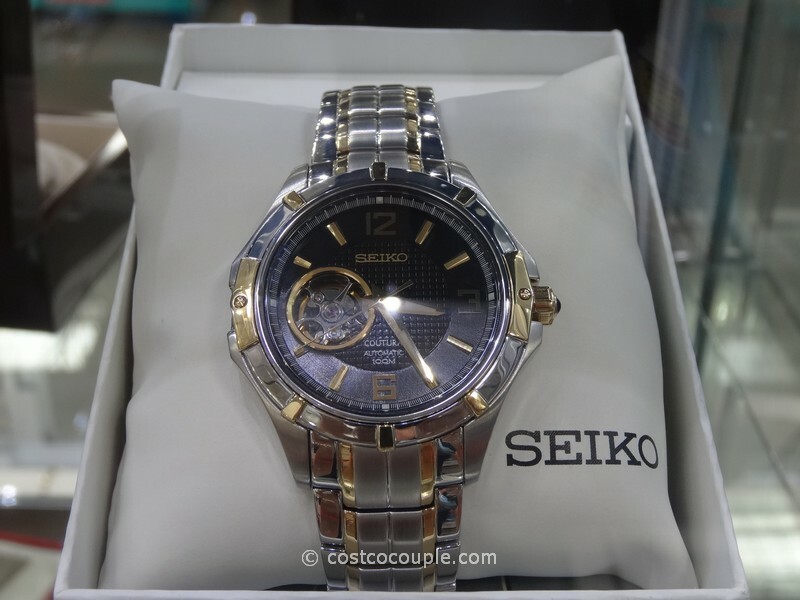 Water resistant to 100 M. And of course, the sapphire crystal for scratch protection. 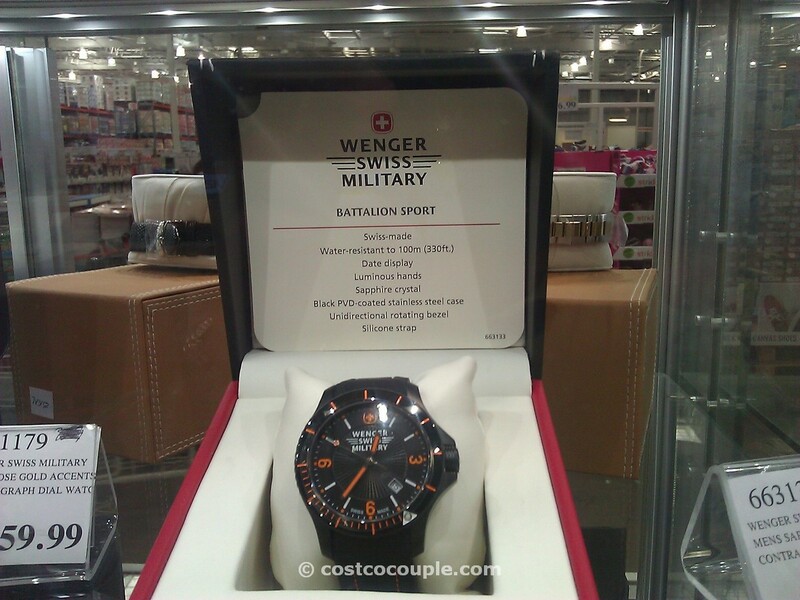 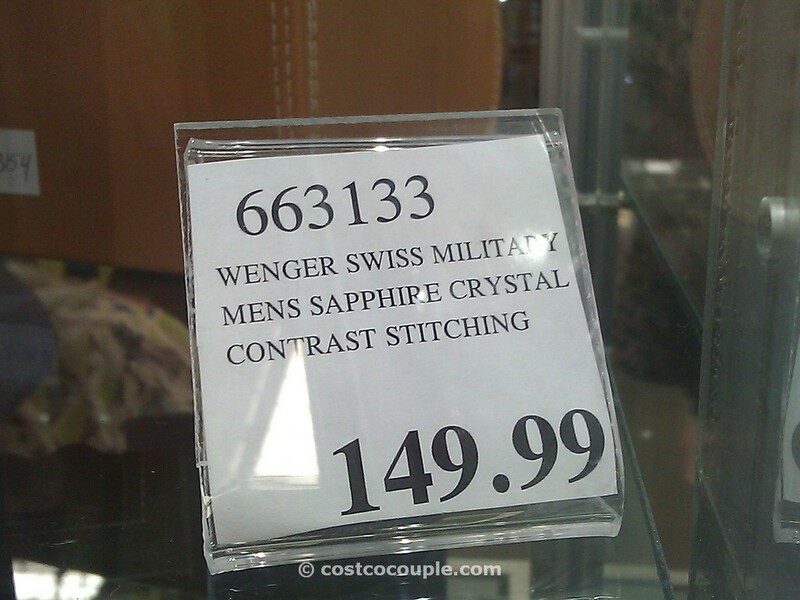 The Wenger Swiss Military Watch with Sapphire Crystal is priced at $149.99.